I'm always adamant about changing your skin care products since your skin can get used to the product and not make any effect. As a skincare lover as you, all know I have a vigorous routine and go through quite a few products from face creams to serums. I'm always on the market searching for products that I want to try out and I always invest in my skincare more than my makeup since you need a good base to have good makeup. For face cream I have been eyeing up the Divine Cream by L'occitane, it is an anti-wrinkle cream with 7 natural active ingredients: Marsh Clover, Myrtle, Honey, Bellis Perennis, Hyaluronic Acid, Evening Primrose Oil and Camelina oil. The Divine Cream is one of L’occitane's best seller with two awards and has 5 benefits to your skin; to maintain your skin’s youthful potential, to nourish and hydrate, to reduce the appearance of fine lines and wrinkles, to boost the skin firmness and reduce the appearance of uneven skin tone. There are proven statistics of the skin care benefits : ‘91% skin feels firmer,95% skin seems firmer, 24% reduce the appearance of fine lines’ and I’ve read reviews how this cream is easily absorbed into the skin and also acts as a great makeup base. L’occitane has an impressive selection of products and face creams, I first come in contact with L’occitane because of the hand creams which is still one of my favourites. I especially love the Lavender range and the Almond Shower Oil. I always buy L’occitane as gifts especially around Christmas - the rose scent is divine and the lavender is so relaxing. You’re probably thinking Joyce you don't need anti-wrinkle cream but I am in my 20's now and it is never too early to start using anti-wrinkle cream especially as I have a family history of deep frown lines, not to mention the fine lines that I have around my eyes that appeared a year ago. Sob. I do in-depth research especially when I'm hoping to keep my skin as youthful as possible. The most known serum on the market is the Estée Lauder 'Advanced Night Repair' synchronised recovery complex II Serum which is an anti-aging product. It claims to reduce fine lines and wrinkles, to make the skin more hydrated and stronger and to make your skin look younger, smoother and more radiant. There are many positive results and I know my mum also loves this since it does make her skin smoother and hydrated. I am currently using the LIQ Serums which contain Vitamin E and Vitamin C all to do with hydration and anti-aging. These are really good for my skin but I find it to be a little bit too oily especially for daytime which I've noticed that I have become more oily. It's only a matter of time before I purchase the ANR for myself. I can't wait to actually try this. I started to look into different skin care needs and discovered the wonders of an Essence Lotion, It is a product that I was introduced by marking down my skin care and doing in-depth research that being one of my popular skincare posts: My 10 Step Skincare Routine. I started off with an affordable Essence Lotion by Superdrug and have now moved onto the Missha Treatment Essence Lotion which I have seen positive results from. I recently saw the Estee Lauder Micro Essence Skin Activating Treatment Lotion at Debenhams and I am really intrigued by the product. What makes it different from the Missha one that I am currently using? Is an American brand going to better than the original Asian skincare? One of the most raved about Essence Lotion is from SK-II which I have heard good and bad reviews from but it is very pricey so I won't indulging in that just yet. The Essence Lotion is Step 5 in my routine after my serums which are used to replenish. soothe, strengthen and moisturise to prolong your youthfulness. Once you start using an Essence Lotion I feel like you can't stop since you want to continue looking for the next best thing. I am a keen reader of Anne or known as 'Ree' from Really Ree. 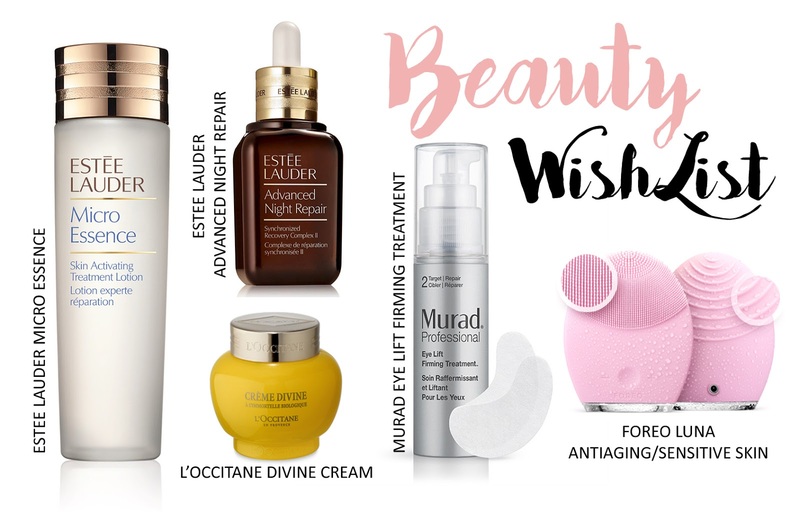 And she has mentioned the Murad Eye Lift Firming Treatment on her blog. The product is to instantly lift, firm and reduce the appearance of fine lines and wrinkles with firming Polymers to tighten and plump with the use of Hyaluronic Acid to create a more youthful appearance. If you have creases under your eyes, you know how annoying it is when your concealer just slips right into to the crease and you have to keep blending and pushing around you concealer all day to make it less visible. If any of you have fine lines and know how to combat them please let me know as mine are only going to get worse with age. I keep mentioning the fine lines that I have around my eyes but this is the reason why I want to try out the Murad Eye Lift Firming Treatment to see results and not just piling on the serums and creams under my eyes which do not diminish the appearance of fine lines and just moisturise temporarily. A device that I have been wanting to try for the longest amount of time is the Foreo LUNA Anti-Aging Skincare Device for Normal/Sensitive Skin. I watch a lot of YouTube and I've heard great reviews on this device especially from Kathleen Lights. The Foreo Luna has soft silicone bristles that gently deep cleanses with it pulsing technology which helps to reduce the visibility of fine lines and wrinkles which in time will give you radiant and younger looking skin. The pink one is for sensitive skin with anti-aging abilities - I believe the bristles are much smaller and smoother to not irritate the skin. I've avoided the Clarisonic and other that look like a circle spinning brush since it feels abrasive on the skin. I feel like the buffing process of these devices tears away the surface of your skin making the need to continue to use them to get rid of dead skin cells and to see results. This is a pricey product which is why I have put this off for soo long. I wanted to try the Foreo Play but it is not rechargeable and the power goes within 2 weeks. I might have to bite the bullet one day and try it out. That is all for my skincare wishlist that I have been eyeing up. I know they are all anti-aging products and this post is quite lengthy. If you have tried any of these picks let me know how you feel about them and if you have any other skincare recommendations I need to check out leave them below. NB! * Please note this post is collaborative and holds PR samples. All words and opinions are my own.